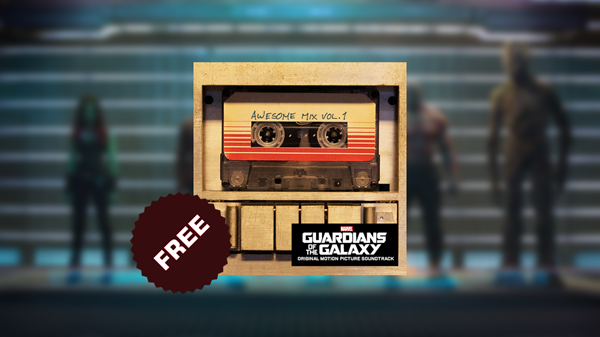 What came close to the awesomeness that Rocket Raccoon was with his British Cockney accent and wits in Guardians of the Galaxy was the chart busting soundtrack of the movie, with one song in particular – “Hooked on a Feeling” – totaling over 16 million counts of streaming. 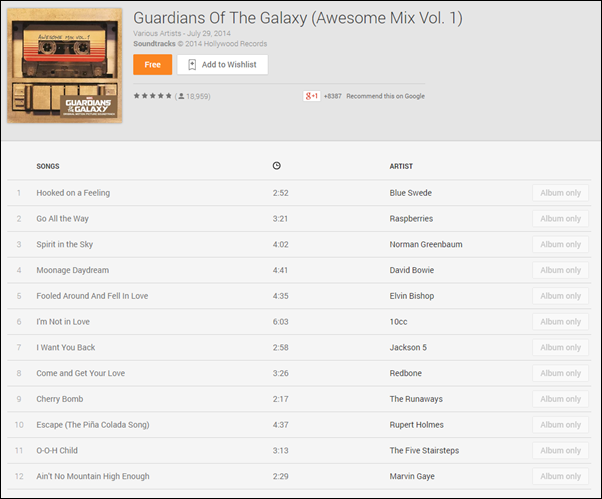 As part of a run up to the holiday festivities, Google is offering the Guardians of the Galaxy soundtrack album entitled ‘Awesome Mix Vol. 1’ for free on Google Play (U.S. only), and the offer is supposedly just for a day. The movie had predictably dominated the box office, but the real oomph – rather surprise – was the soundtrack that actually set every scene alive with just the right energy as we were taken on a sci-fi ride of epic proportions. Seems like Marvel has decided that it had already squeezed every possible revenue stream from the movie which is a marketing wunderkind of a sort, and fans of the flick – including the music – would rush to grab the soundtrack as Marvel keeps the movie ticking along on social media. Don’t wait around! Head over to the Google Play Store here and download the album right away before the search giant goes back to offering it for a few dollars in return. Simply log into Google Play and hit the Free button to instantly download the album to your Android device, or harness it in your Play Music library. Do share your thoughts on the movie’s soundtrack, or any song in particular you enjoyed. We would love to hear your thoughts on the brilliance that Rocket Racoon was as well. Worst comic book adapted movie…ever!